It's the last Major of the year! Close out the year by competing in the last Major tournament of the 2018 Virtual Tour. 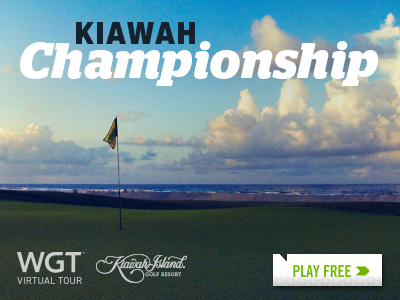 Play the Kiawah Championship this month for an increased total purse of 200,000 WGT Credits. Post a score in the unlimited play first round (12/1-12/25) followed by two single-play second rounds (12/26-12/28 and 12/29-12/31), with the top 70 combined scores in each Pro-Champion tier splitting the total purse prize. Plus, the winning players in each Pro-Champion tier of each monthly tournament will display a new "reigning champion" icon next to their player name through the following month.